The reason this collection features 20 songs is pretty obvious: Jimi Hendrix has a lot of great songs. Still, this compilation cannot be considered definitive, as there is a lot of great material that hasn’t been represented here. 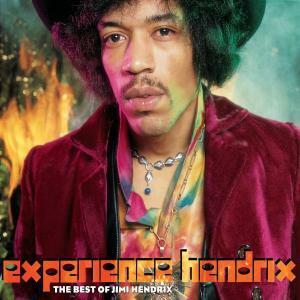 The 20 songs featured on Experienced Hendrix: The Best of Jimi Hendrix may embody some of Hendrix’s most commercially successful works, but there are a lot of other great songs like “51st Anniversary”, “House Burning Down”, “Izabella”, “Message to Love” and “In from the Storm” that aren’t a part of this collection. Of course, music is subjective, and everybody has their favorites. Quite simply, there is still a great deal more to Hendrix than this anthology might box you into thinking. There are few artists whose live performances are as legendary as their albums, but Jimi Hendrix is one of those artists. In fact, it could even be argued that he is remembered more for his live performances than his studio work. This collection features one live song in the form of “The Star Spangled Banner” to bring this point home. Otherwise, they probably wouldn’t have gone to the trouble of including a single live performance on what is essentially a “best-of” collection. Prior to me buying this CD, a friend of mine let me borrow a different best-of Hendrix compilation (out-of-print) that included his legendary “Wild Thing” performance at Monterey. I would have preferred to have that track on this disc over “The Star Spangled Banner”, to be honest. One of the main appeals of Jimi is his unique guitar playing style. Yes, there are those are more technically capable, and those who have taken it a step further. Nevertheless, his guitar work is just as relevant today as it ever was, and the influence that he has had on modern players is simply incalculable. Some of my favorite moments on this disc include his beautiful R&B style playing on “The Wind Cries Mary”, “Hey Joe”, “Little Wing” and “Angel”. I also enjoy the psychedelic “Bold As Love”, “Crosstown Traffic” for its hook, Dylan’s “All Along the Watchtower” for the ethereal guitar solos, and “Voodoo Child (Slight Return)” for its bluesy and aggressive style. I really love this collection and I listened to it a lot. Again, I would encourage you to dig a little deeper if you’ve never listened to anything but best-of collections. Delving into the Jimi Hendrix catalogue is a rewarding experience, and there are plenty of other Hendrix songs that are worth hearing.